The ​3DGence INDUSTRY F340 is a dual nozzle industrial 3D printer suitable for working with a range of functional materials including the high grade thermoplastic PEEK.3D Printing Industry recently visited Poland to test the 3DGence F340 and find out if this industrial additive manufacturing system lives to the manufacturer’s claims. What separates the INDUSTRY F340 from the crowd is its ability to create high quality, very accurate and detailed prints effortlessly with any material fed in within the range. 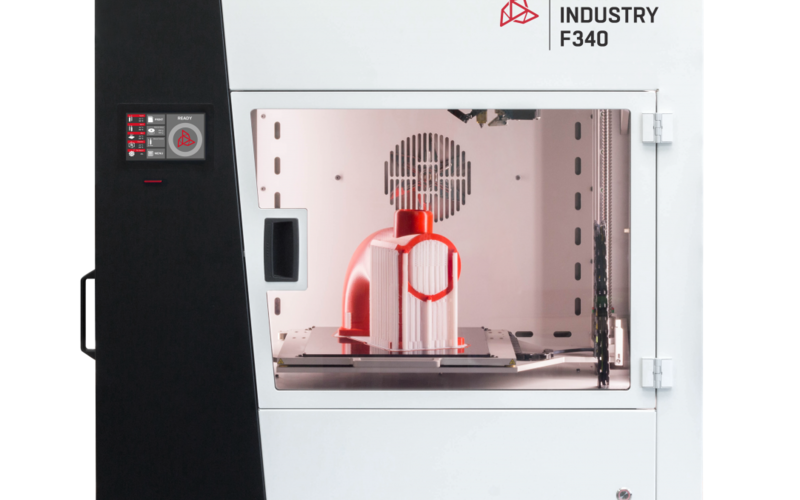 Furthermore, the 3DGence INDUSTRY F340 has a patented extruder with a modular design.This multi-material 3D printer can use the vast majority of available filaments on the market. These range from standard materials such as PLA, to high temperature thermoplastics including PEEK. Multi-material capability on the F340 is a matter of simply swapping the extruder modules, says the manufacturer. feature is impressive, but also vital when printing with high temperature thermoplastics such as PEEK. Even when working with a material like ABS the temperature stability and degree of control leads to enhanced prints and dimensional stability. For example, a functional gear design we printed with ABS filament as a test sample came out remarkably accurate and did not require any additional post processing. materials and their printing parameters which have been tried and tested successfully by the manufacturer) stored inside the printer’s memory. In terms of hardware, the ​3DGence INDUSTRY F340 is constructed to industrial standards, but also presents attractive design features. The INDUSTRY F340 is immensely robust and sturdy in its build which helps the printing process in various ways such as low vibration, precision in movements and accuracy in dimensions. substantial, the F340 is engineered in a manner that benefits from what a first sight may seem overly-heavy. As the F340’s chamber temperature can reach upto 85 ̊C, a system to protect the electronics is necessary. 3DGence accomplishes this task by using insulating bellows. The bellows around the extruder mechanism are remarkable in keeping the chamber heat within the chamber and as well as protecting the gantry mechanism from the heat to increase the parts service life.